The cyborg chair by Marcel Wanders for Magis is a new combination of already existing ideas, forming something completely new. A cyborg is a creature consisting of artificial and natural components that combines the old and new, and soul with material. Based on the composite beings - known from sci-fi movies - the Magis chair is also a component of multiple elements of natural and artificial parts. 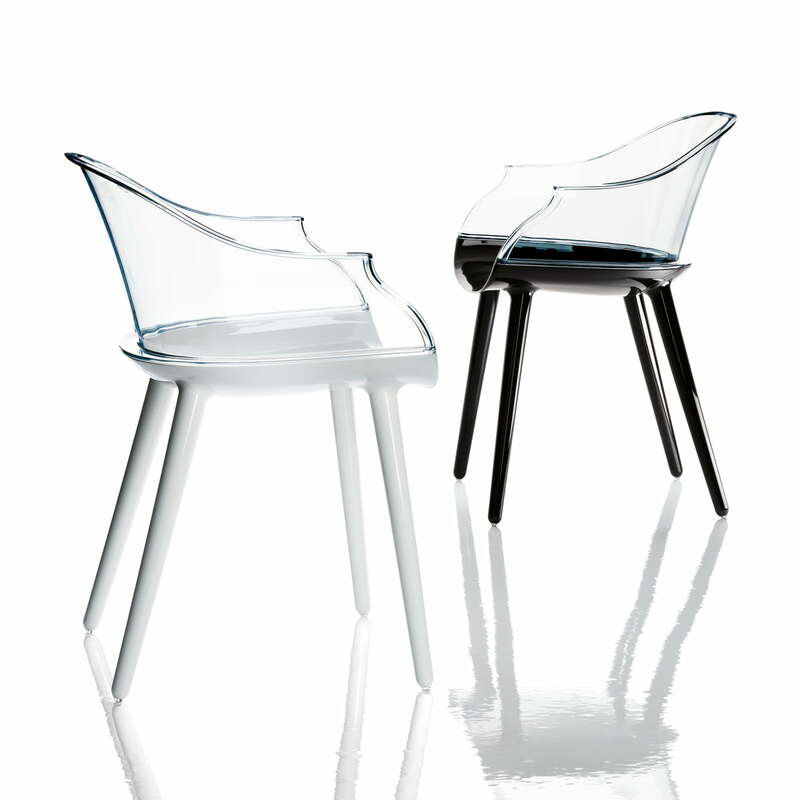 The Cyborg armchair consists of a four-legged base made from opaque plastic as well as of a transparent seat shell. 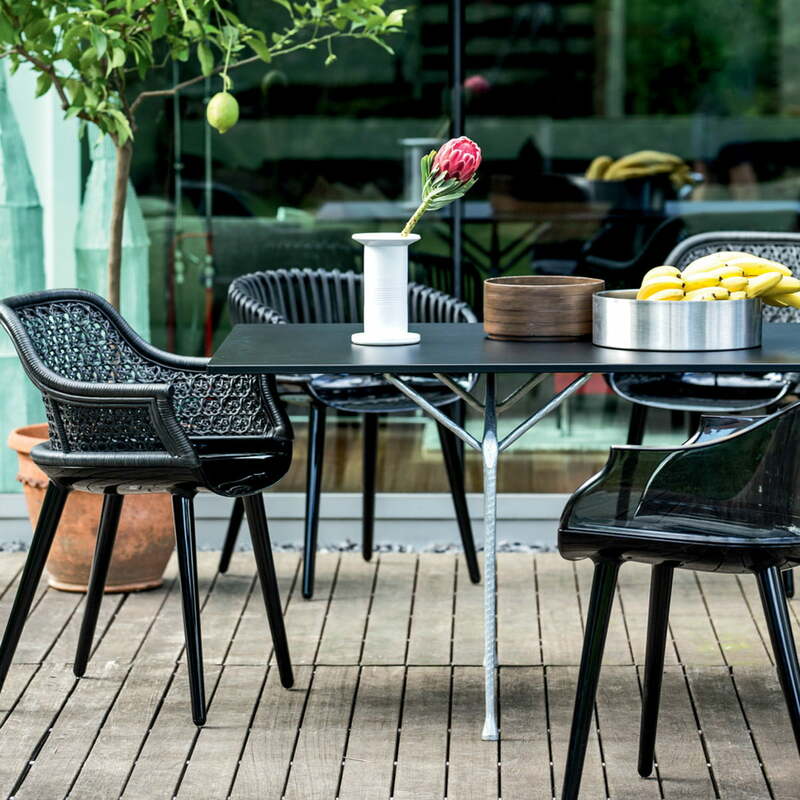 Coming with a black or white base, the sturdy dining room chair can be individually combined. 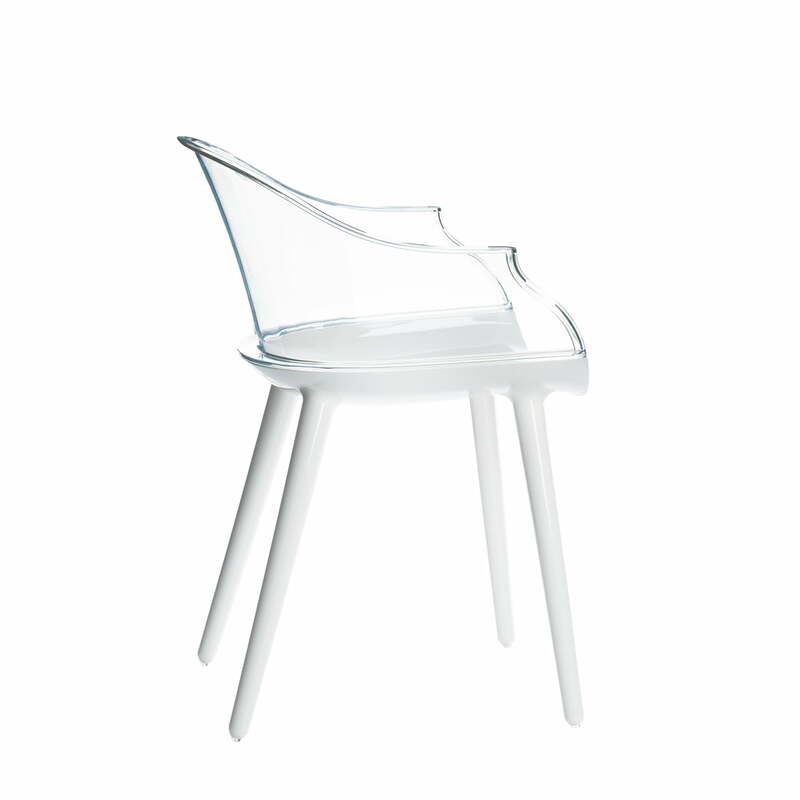 Single image of the Cyborg chair by Marcel Wanders for the manufacturer Magis with a frame made of opaque plastic in white and a backrest made of clear plastic. The base of the Cyborg armchair with four legs and seat shell has a second part, which becomes the back and armrest. 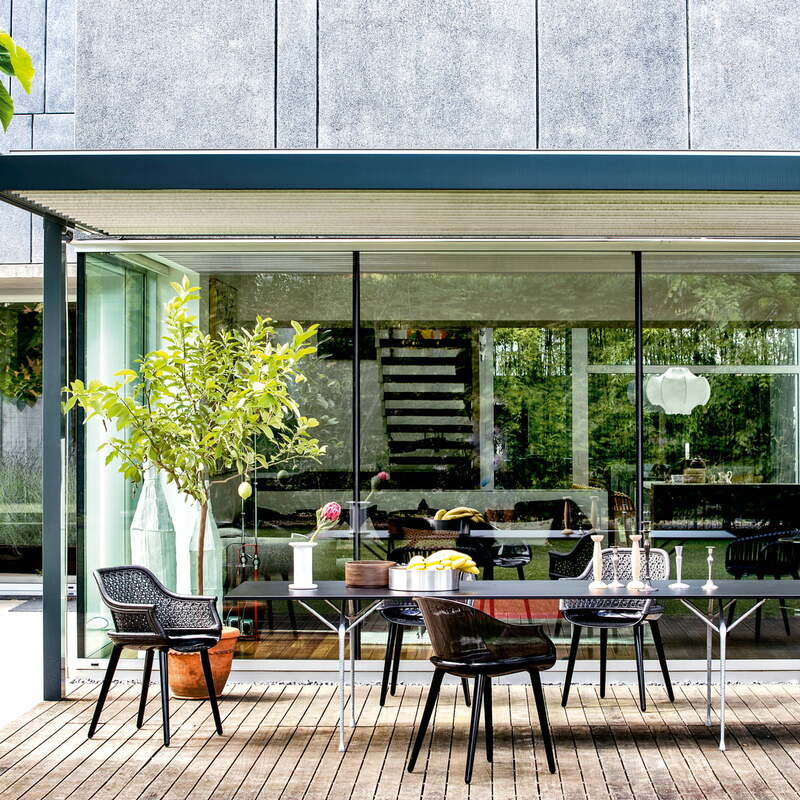 Both components are made of plastic in different colours The frame is produced in a gas injection process and the material is opaque, but the back and armrests are however transparent due to the standard injection process. 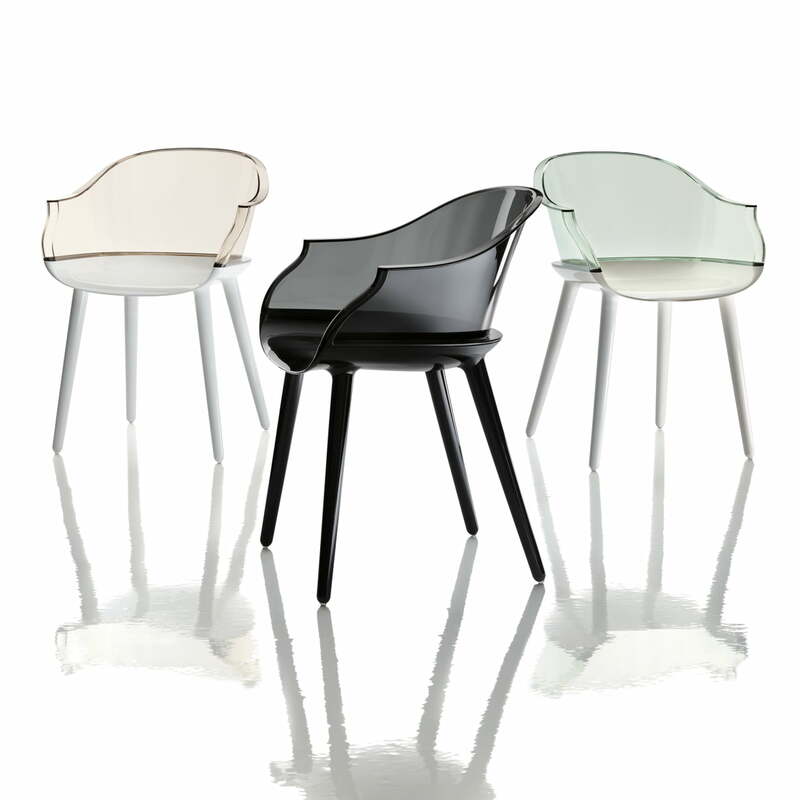 The Cyber Chair by Marcel Wanders for Magis is available with a back armrest made of clear or black transparent plastic. The frame for the two versions is made of black plastic and the clear seat is optionally made of white plastic. 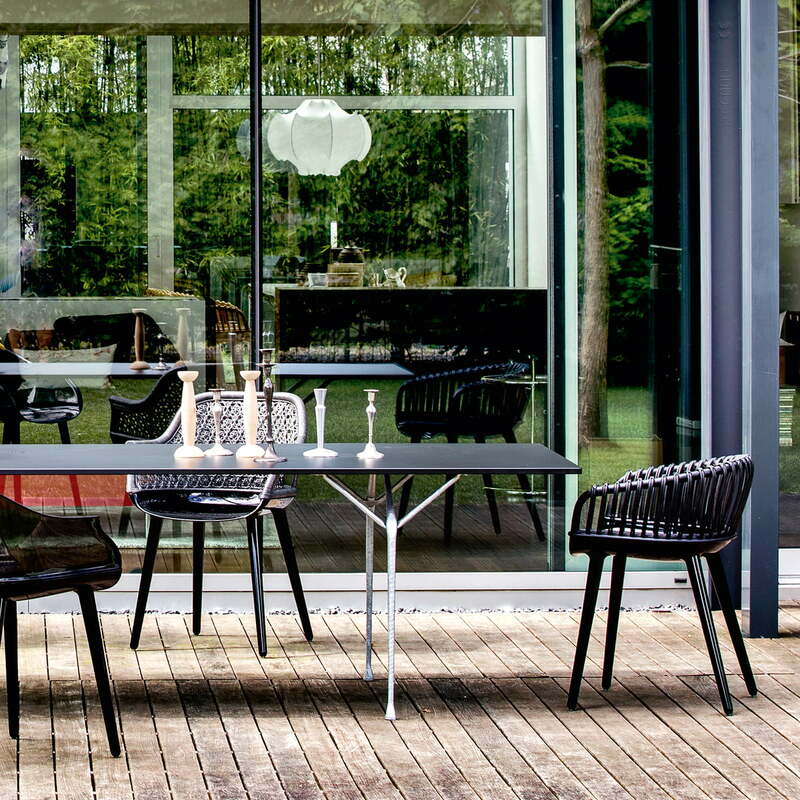 The Cyborg chairs by Marcel Wanders can be perfectly combined in spite of diverse backrests and materials. Coming in a timeless black the chairs are not only suiting to the Officina table, but they can be combined according to colour.